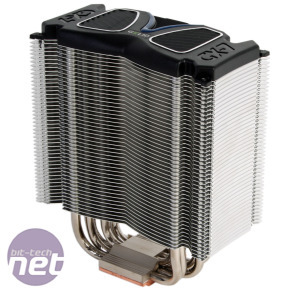 When we first looked at the original Gelid GX-7, we found that while its performance was decent, it didn't do enough to elevate it above cheaper models. The lower launch price of a touch over £30 for the Rev. 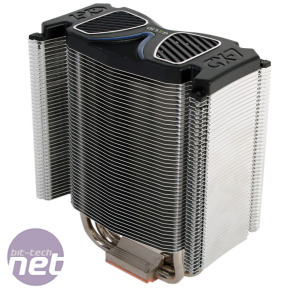 2 edition therefore works in its favour, but the cooler will still face strong competition from the likes of SilverStone's £25 Argon AR01, for example. Following on from the GX-7, the GX-7 Rev. 2 falls into Gelid's Gamer product line, as opposed to its Silent range (in which the Tranquillo family resides). In doing so, it positions itself as a cooler that's louder than its Silent brethren, both audibly and visually. 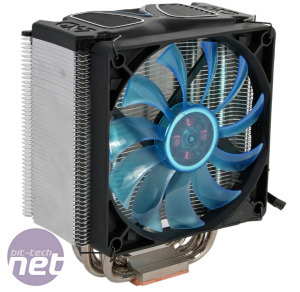 One thing that struck us immediately is the lack of LGA2011 compatibility out of the box. 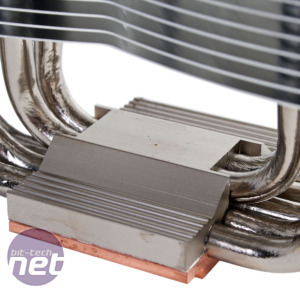 The mounts for this socket need to be purchased separately, which, even though the socket isn't the most widely used, still strikes us as odd and a little stingy given the universal socket compatibility of nearly every other cooler we see nowadays. It's also worth pointing out immediately that the Rev. 2 is a very minor revision of the original, and the two can actually be had for the same price at the moment. 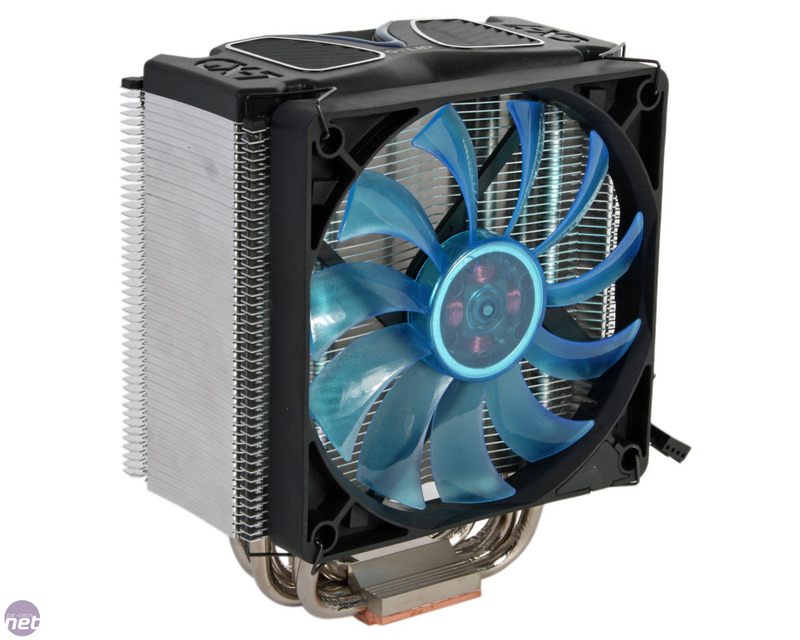 In fact, the only real thing that's changed is the fan, which is now a slimmer 120mm model than the full size one before. 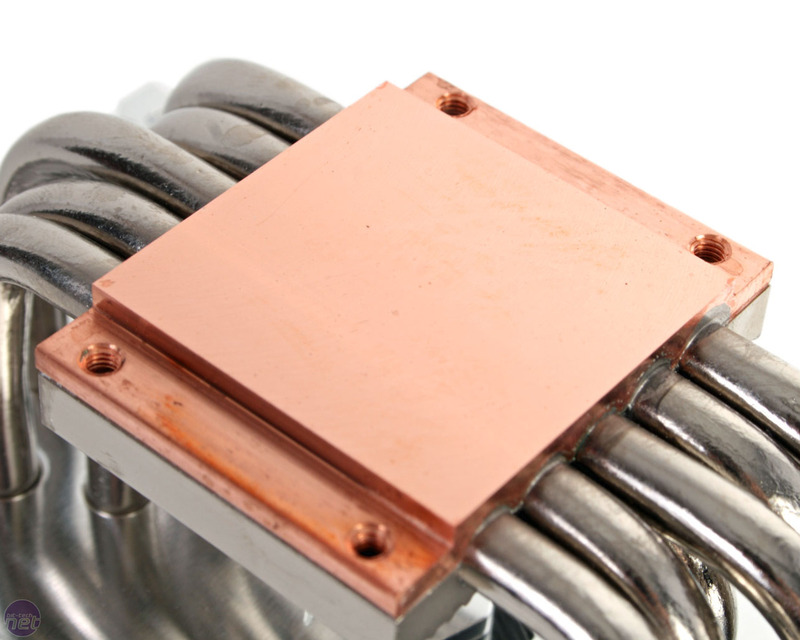 Therefore, the GX-7 Rev. 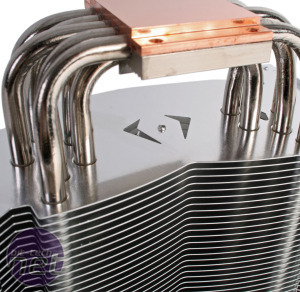 2 maintains the same arrangement of its seven 6mm heat pipes, with two of them stacked above and soldered on to the middle of the lower row of five, which, as you might guess, Gelid claims is done to improve heat absorption. 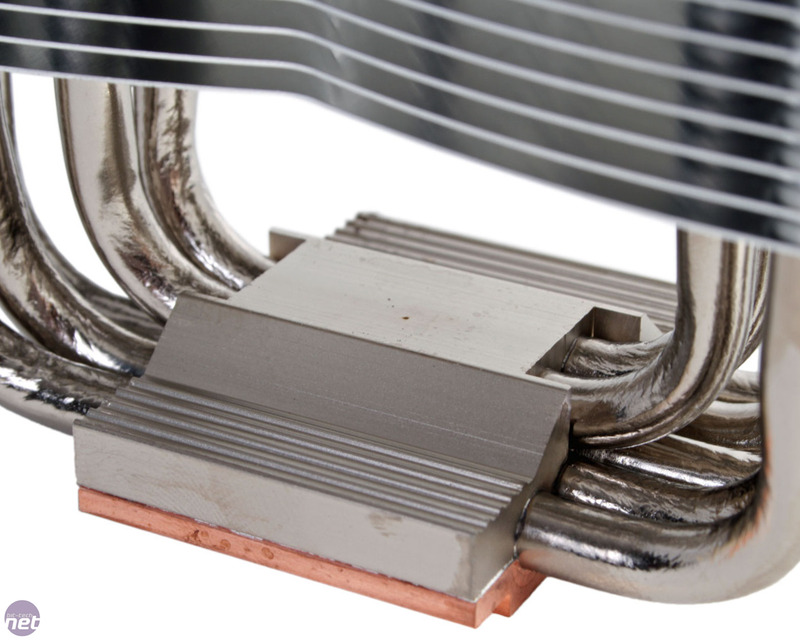 The heatsink also features the same V-shaped fins as before, with airflow being designed to flow through them in one direction. The dense stack of fins is also closed off on both sides, presumably to guide as much airflow as possible directly through the fins. 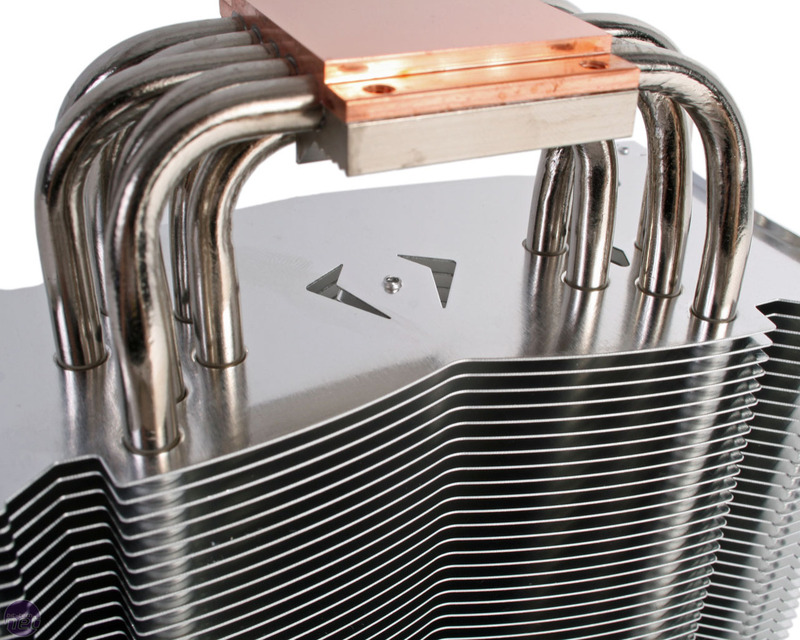 There are also holes cut through the fins, as shown, which is also meant to improve airflow and prevent hot spots from forming. Finally, the black cap on top of the fins seems to be mainly for aesthetic purposes, and certainly looks a little more appealing than just a sheet of metal with some capped heat pipes sticking out of the end. 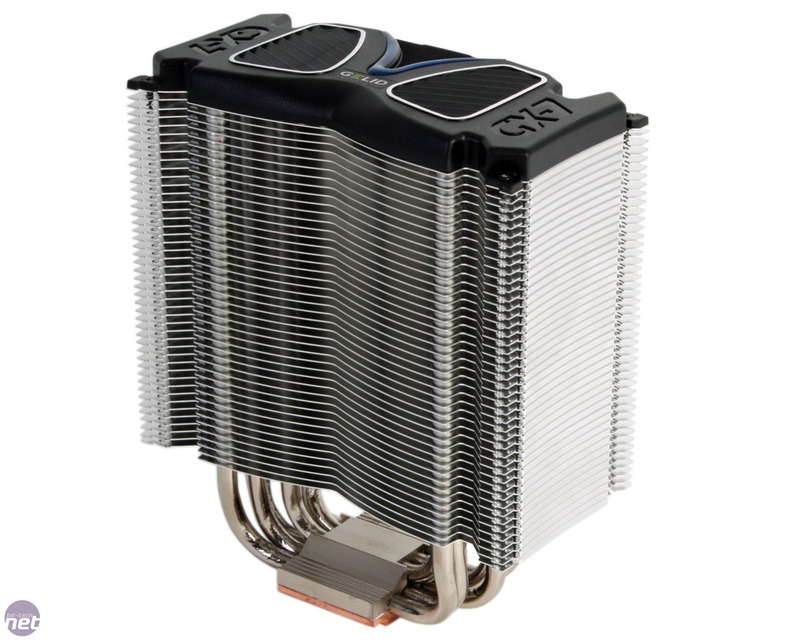 The new fan bundled with the GX-7 Rev. 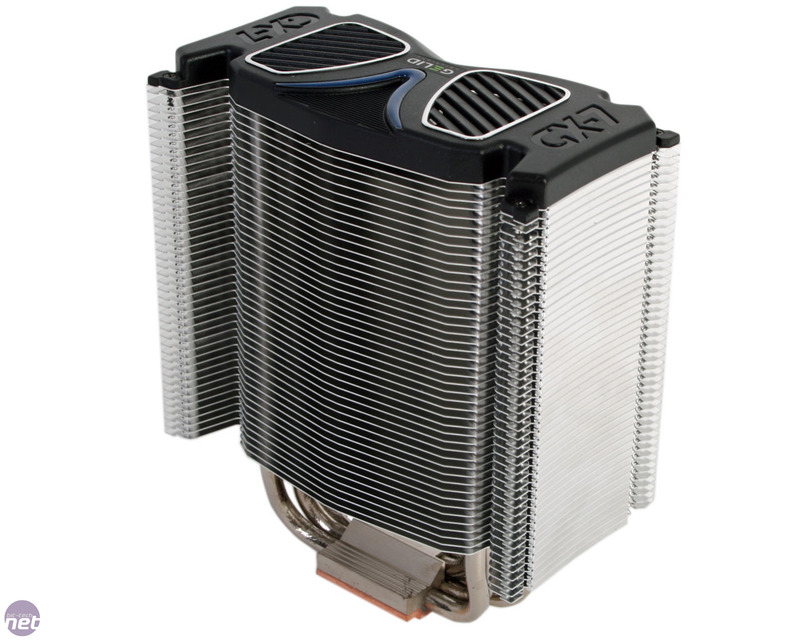 2 is a Gelid Slim 12 PL Blue fan. At just 16mm deep, it should provide better RAM clearance than the 25mm model, and indeed we had no issues keeping clear of even the closest memory slot on our motherboard. The fan uses hydro dynamic bearings and sports eleven blue blades as well as four blue LEDs that can be turned on or off using a switch on top of the fan. PWM control is also supported thanks to the four pin connector, but sadly the fan cable isn't braided as we've seen elsewhere, even in cheaper models. As with the GX-7, the Rev. 2 is relatively easy to install, with it taking little fuss inside a regular sized chassis. With the backplate in place you'll need to fix some mounting plates to the cooler base and line these up with the backplate screws, before fastening everything into place with some nuts. 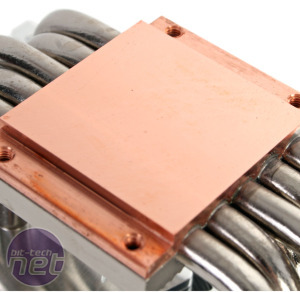 All the plates needed to complete the installation are made from solid metal, and Gelid also supplies a decent sized tube of its well received GC-Extreme thermal compound. The fan goes on last, which can be a little fiddly thanks to the fan clips. A second fan can is also supported, but unfortunately no clips are provided for doing so.